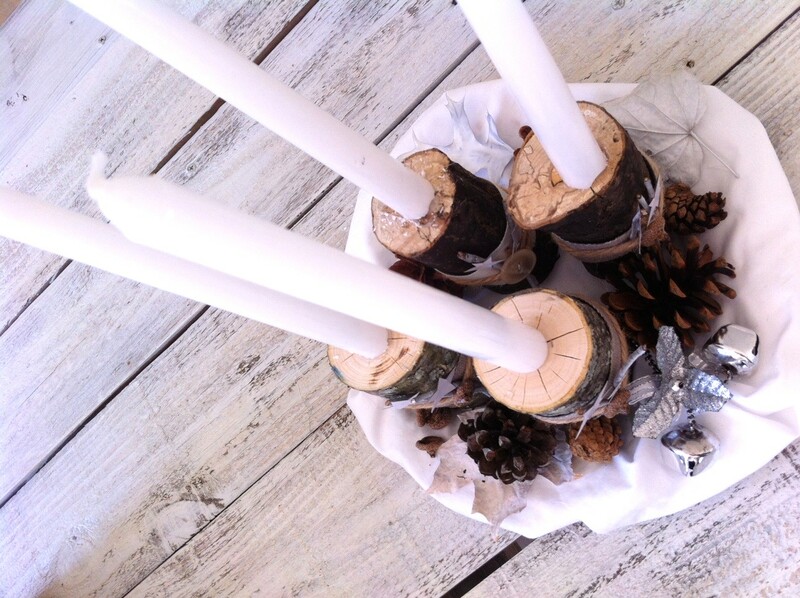 This year, I was really eager to make an Advent wreath for the season of Advent. 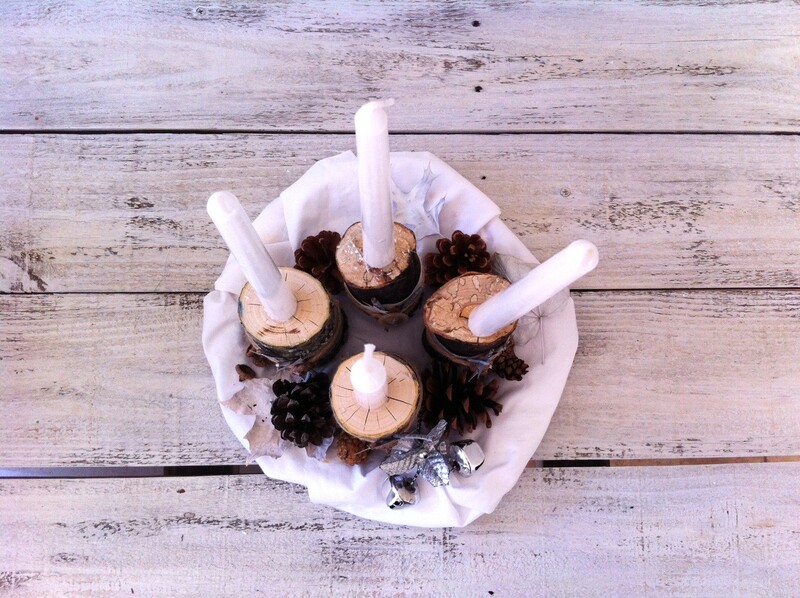 In case you are not familiar with one, an Advent wreath has four candles which represent the four weeks before Christmas. Candles are lit on the four Sundays before Christmas, this year it will start on November 30th. 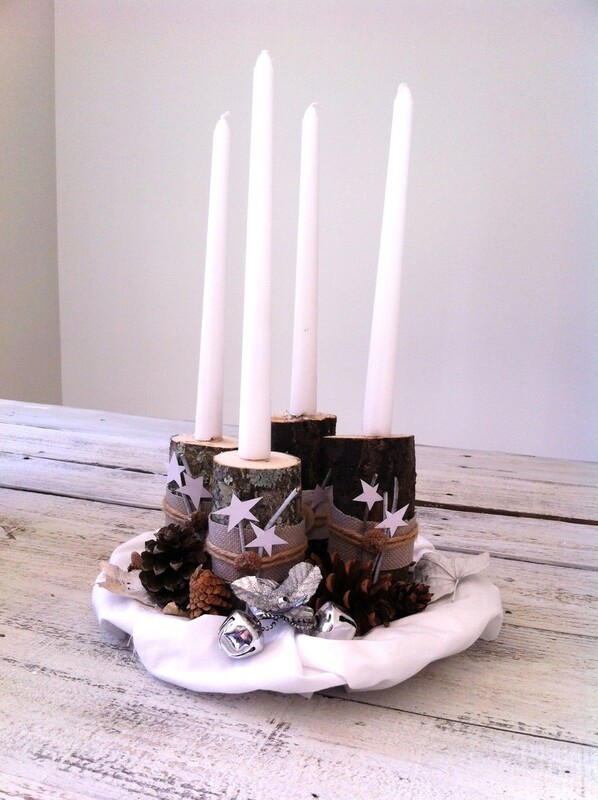 Rather than buying an Advent wreath, I created my own with items mainly from my backyard. The starts are made from white cardboard, then hot glued to the twigs which I spray painted white. 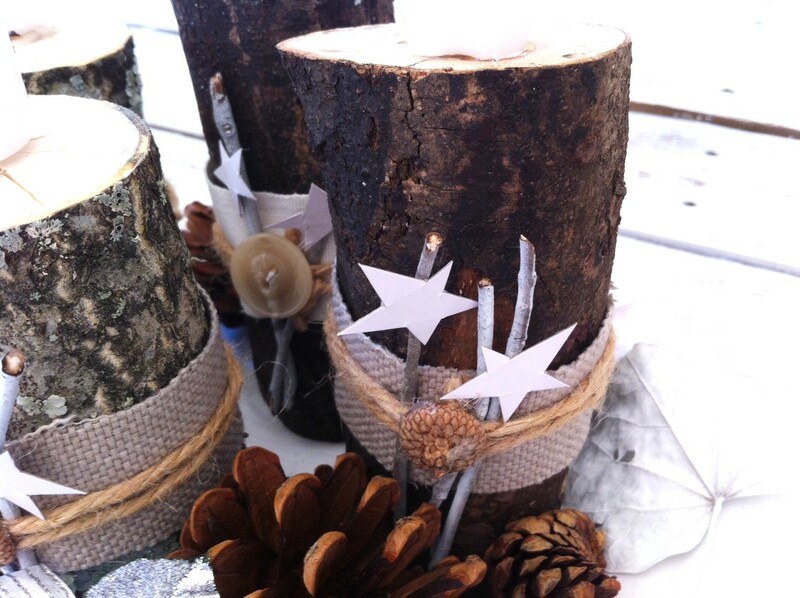 I used leftover fabric and twine which were also hot glued to the logs. I put a long nail into each log to secure the candle. The candle on the right is a bit crooked – I just noticed. 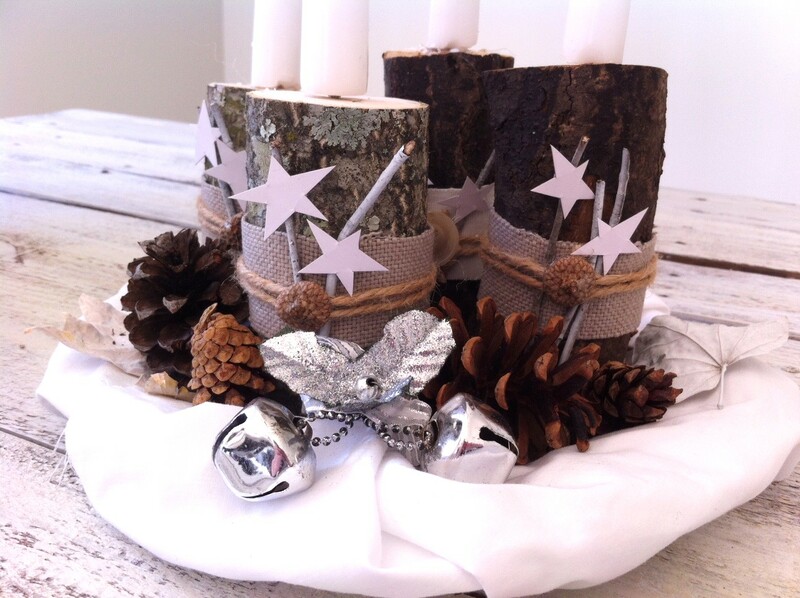 I would describe my Christmas decor as simple, earthy, frugal and natural. 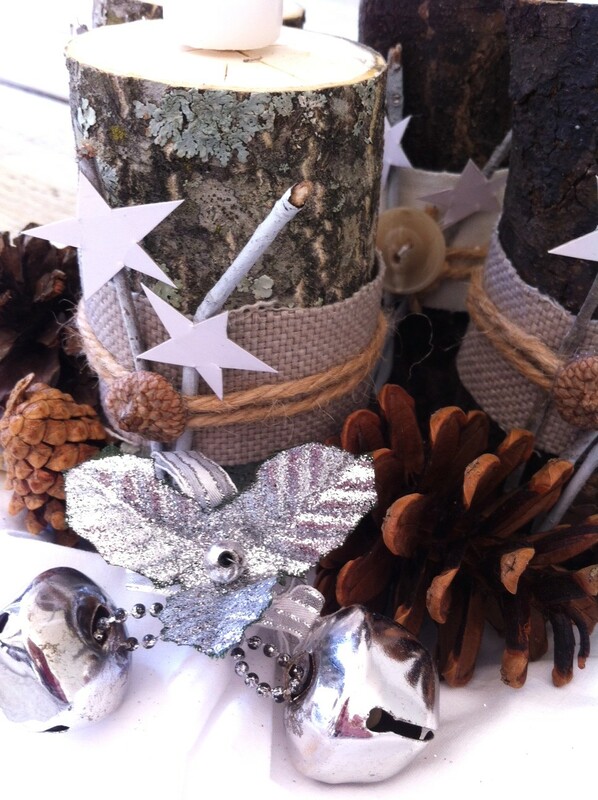 Christmas decorations, to me, are about traditions, stories and making new memories. How would you describe your Christmas decorations? Do you make them or buy? Do you prefer the traditional red-green Christmas decor? Wow, what an amazing and beautiful idea for Advent. I love it! Thanks, Natasha for the kind comment and the invite. I did drop by! So pretty! I love the rustic feel. Thanks, Megin I’m so excited for the feature. Thanks for stopping by and have a great weekend. We used to light the Advent Wreath candles at our church. I miss that tradition. Love that you made your own! Thanks for sharing at Show Me Saturday. Pinning! Thanks, Ginger I appreciate the kind comment. Have a great weekend. Thanks for the comment and for stopping by. I am so glad you like the wreath.